NC: Marc, can you give us the top five things that any new physician do to protect the business? Choose the right partners. And I use that term broadly,meaning, as a new physician, I want to associate and affiliate with the right hospital in a community. And if I’m joining others, certainly with the right physicians, with the right medical staff, certainly affiliate with the right counselors (accountants, lawyers) in a particular market. Be prepared to work on the business as well as in the business. 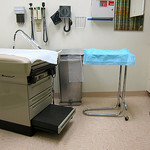 I am trained, as the clinical expert, as a physician, to come into a medical practice setting and work in the business. But, in addition, I have to pay attention to the business itself and take time to work on that business. Invest in the right supporting talent. I may have the skills as a physician, but I cannot practice medicine alone. I have to have an excellent officer manager, and great staff members. I need to protect against loss, particularly today. We live in a very litigious society, and insurance such as professional liability insurance is essential. Finally, making sure that I have adequate financing or capital, the dollars needed to start my business and to maintain it as it grows. NC: Marc, you started out by saying that some of the important criteria is finding the right associates and also the right staff. What should a new physician look for, or how do they find the best staff members? MH: We recommend that physicians really focus their energy initially on finding the right office manager, somebody who can help them run the daily business side of practice. We use in our own organization the principles discussed by Bradford Smart in his book entitled "Topgrading: How Leading Companies Win by Hiring, Coaching and Keeping the Best People". And for a manager, use a set of questions to make sure that the candidate has the correct skills. It’s more than a personality match. It’s more than just the technical skills. This individual has to come highly recommended, and with great people skills as well. To find people like good office managers and other support staff, we prefer personal referrals, someone who’s willing to go offline and say, “I know an individual you ought to go talk to,” or, “I’m going to refer somebody to you who’s really terrific.” We like those kinds of personal referrals because they come with a testimonial. NC: In your book you talk about the “highest and the best use”of staff. What do you mean by that? MH: Well, highest and best use staffing is a concept that we developed some years ago as we recognized that there were three primary roles in a medical practice, and every other role is secondary. The three primary roles that have the most to do with the clinical and service quality of our practice, as well as the productivity of our physicians, involve the physician himself or herself, the clinical assistant as another primary role, and the receptionist. The highest and best use staffing basically is making sure that those three primary roles are doing what only they can do. In other words, the physician is doing work that only a physician can do and delegating everything else so that he or she can maximize the productivity and the service. Secondly,that the clinical assistant has two major roles. One is to ensure the comfort and safety of the patient and then, secondly, to make sure that the physician is being productive. And then, thirdly, the receptionist has a role to greet every patient properly, make sure the data is verified on the insurance and demographics, and then make sure that patient is comfortably cared for in the reception area of the practice before going back into the clinical area. Every other position is a secondary role and supports those - the physician, the clinical assistant and the receptionist - to accomplish their task. That’s highest and best uses of those staff members.